The NAIA 12-seed Warriors defeat the Eagles, 7-2. The Eagles faced a strong Westmont College women’s tennis team on Thursday in Santa Barbara, California. Biola’s women put up a respectable fight, but lost to the Warriors, 7-2. Junior Allison Torres and freshman Ines Diaz put their talents to work and defeated the No. 3 Warriors doubles team 8-3. However, sophomore Esther Lee and junior Lauren Lee lost their No. 1 doubles match, 8-4, while teammates sophomore Lily Waterhouse and freshman Anna Hartmann missed the mark as well, falling in the No. 2 doubles match, 8-5. Next came the singles matches, and Biola looked to stop the momentum of Westmont’s powerful play. Lauren Lee competed in the No. 5 singles match, bringing home a win for the Eagles, 6-3, 3-6, 1-0. Diaz lost her No. 2 singles match, 2-6, 5-7. Waterhouse fell to her No. 3 singles opponent, 2-6, 1-6, while sophomore Madison Swaney was defeated by her No. 4 singles opponent, 2-6, 6-4, 0-1. Torres gave her best efforts, yet fell short, 4-6, 3-6 in her No. 6 match. Esther Lee lost her No. 1 singles match due to retirement, 6-7. 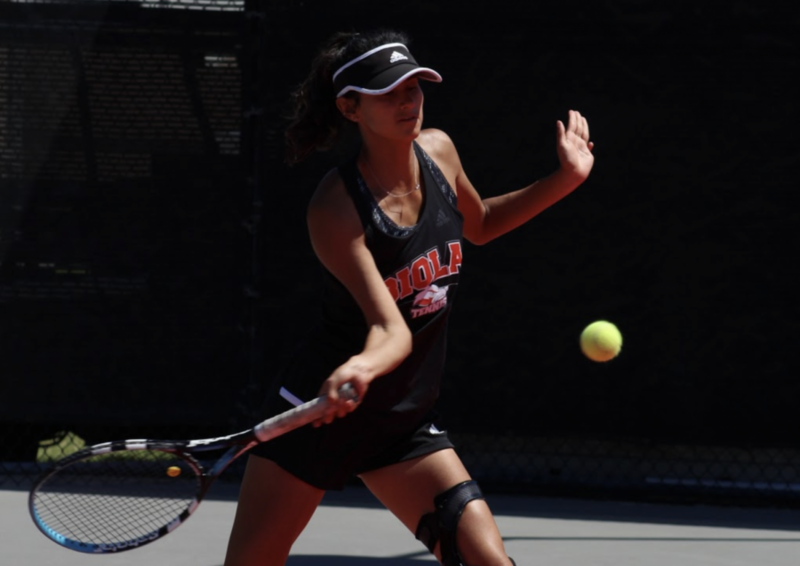 The Eagles will hit the Biola Tennis Courts on Saturday against Arizona Christian University at 11 a.m.